Could a computer ever mix and master as well as a human engineer? Computer vs human: whose side are you on? With MixGenius recently launching its LANDR automated mastering service, we asked a selection of hi-tech music making companies if we'll ever be able to rely on machines for mixing and mastering. "It depends who configures the automation. Most engineers have a regular workflow they bring to a project, and best practice can, to a degree, be codified. After all, compressors are automated loudness controls. "Making music is a quintessentially human experience. Surely the real point of mixing and mastering is having another human shape your sound." "Automated mixing and mastering tools are nothing new, especially in the live sound/broadcast industries. One thing is for certain: there's no definitive answer to this, or indeed any question concerning potentially subjective aesthetic choices. "Though mastering was originally born of practical necessity, it's grown to become an artform combining both technical and aesthetic adjustments. When aesthetics are concerned, one must question what constitutes 'as good'. 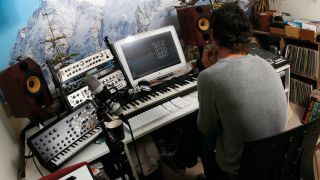 "Could automated tools impart sonic changes to your audio? Yes. Would these changes sound different? Yes. But beauty will always be entirely subjective." "What constitutes a 'good job' in mixing and mastering is highly subjective. A trained audiophile might not agree with common people's choices, but in real-world double-blind tests, LANDR already rivals the work of human [mastering] engineers. "Our system is designed to give people what they want psycho-acoustically, remodelling based on the opinions of engineers as well as the power of big data from user choices. "We can't yet replicate the nuanced process of a skilled human, but we believe that in the long run, artificial intelligence will get there… and beyond!" "We think an automated service could definitely do some standard things for mastering a track: make it loud, balance it… But will it be able to creatively work on a track like a great mastering engineer? Of course not. So if you want to go beyond standard adjustments and limiting, an automated service won't cut it, in our opinion." "Making a sound track follow some basic 'rules' automatically (like equal loudness contour) is doable, but mastering is about balancing the sound in the dimension of artistic perception, which only an experienced human can do."